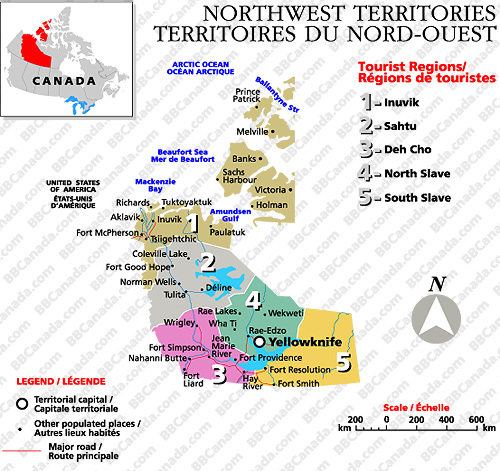 The North West Territories' treasures include several of Canada's greatest rivers, biggest lakes and most important National Parks. Rare wildlife roams free, and millions of birds migrate through the Mackenzie valley. Aboriginal tradition thrives in communities built of a rich fur-trade, exploration and mining heritage.